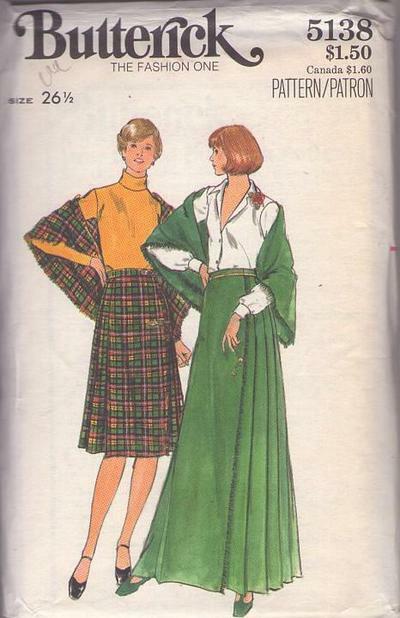 1970s, 70s Celtic, Retro Hostess Clothing Patterns - MISSES' SKIRT & SHAWL. Straight, front wrapped, pleated skirt, in two lengths, darted into waistband, has self fringe, With or without purchased kilt tab closing. Square shawl has self fringe. Purchased tops.